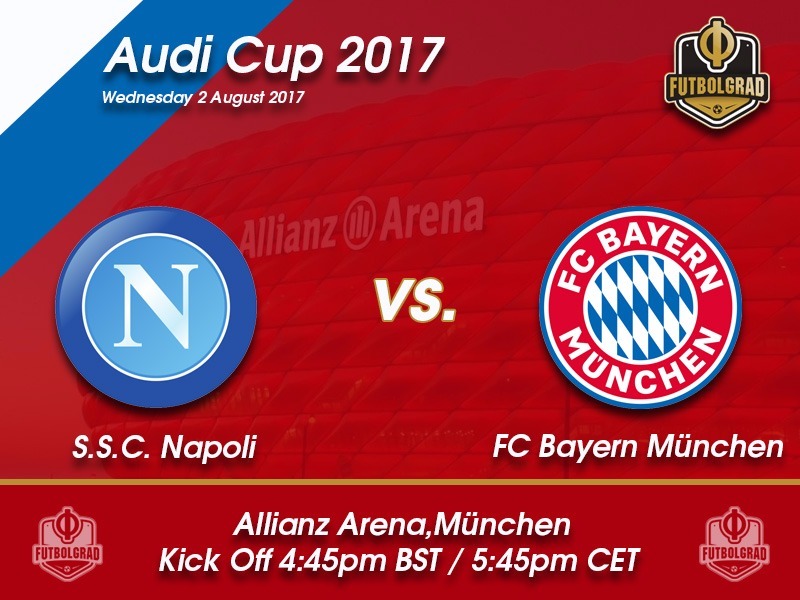 Napoli vs Bayern München – Wednesday 2 August 16:45 BT / 17:45 CET – Allianz Arena, Munich. Bayern München’s poor pre-season form continues. 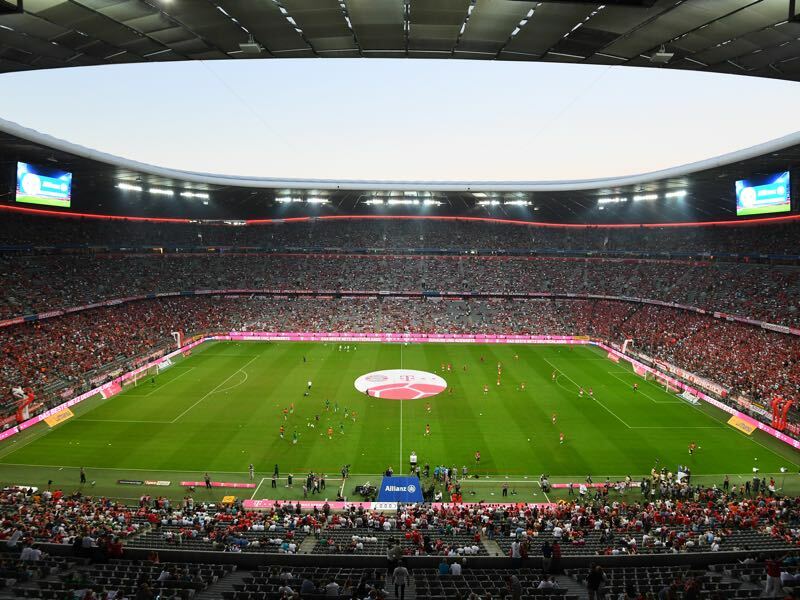 The Bavarian giants were beaten 3-0 by Liverpool FC in the semi-final of the 2017 Audi Cup, and in the first time in the competitions, history will not reach the tournament. The defeat to Liverpool was already the third significant loss in Bayern’s pre-season—the club lost 4-0 to AC Milan and 2-0 to Inter Milan at the International Champions Cup in Asia—and with Bayern facing Borussia Dortmund on Saturday in the DFL-Supercup there is not much time for the Bavarians to turn things around. The game against Liverpool, who had a great evening and look ready to take on the new season, showed that Bayern are nowhere near ready to start the season. The Bavarians did not have a single scoring chance throughout the 90 minutes against the Reds. Going backwards Bayern’s defence looked vulnerable, and Mats Hummels was forced into several lunging tackles—an uncommon sight by the German national team player. Although it is just the pre-season Carlo Ancelotti should be concerned about Bayern’s current status. The squad seems disjointed and tired. Perhaps this is due to the Italian using harsher training methods this summer to whip his players into shape for the long season. Travel and training has taken its toll. But one cannot forget that Liverpool have also been on the road this summer touring Hong Kong and Shanghai. Hence, there are very few excuses for Ancelotti’s men following the 3-0 defeat to the English Premier League club. As a result of the semi-final defeat, Bayern will now face Napoli on Wednesday in the final for third place. The Italians had an active spell against Atlético Madrid, but after head coach Maurizio Sarri made several changes lost the plot and Atlético was able to turn the match around. The Italians, however, looked better prepared for this tournament than Bayern and will provide a significant challenge to Ancelotti’s squad. Another pre-season defeat for Bayern could do severe damage at this point, however, and the players should be motivated to come up with the appropriate result tomorrow. Both sides will rotate a bit ahead of tomorrow’s match. At the same time do not expect too many changes in the starting elevens. Instead, Napoli and Bayern are more likely to make changes to players throughout the game much like it was the case in the two semi-finals. It is, however, likely that Bayern will field the new signings Niklas Süle and Sebastian Rudy. Both together with Joshua Kimmich, who could also feature tomorrow, were given an extended holiday following their stint with the German national team at the Confederations Cup. The new faces on the field should offer some intrigue to Bayern fans, who were hoping that their team could once again win the Audi-Cup. Many expected Renato Sanches would be gone at this point. But AC Milan, who are the only side that have spoken to Bayern, has been unwilling to meet Bayern München’s asking price, which means that the Portuguese wunderkind will stay with the Bavarians. In fact, Renato Sanches could become a valuable piece for the Rekordmeister after all. 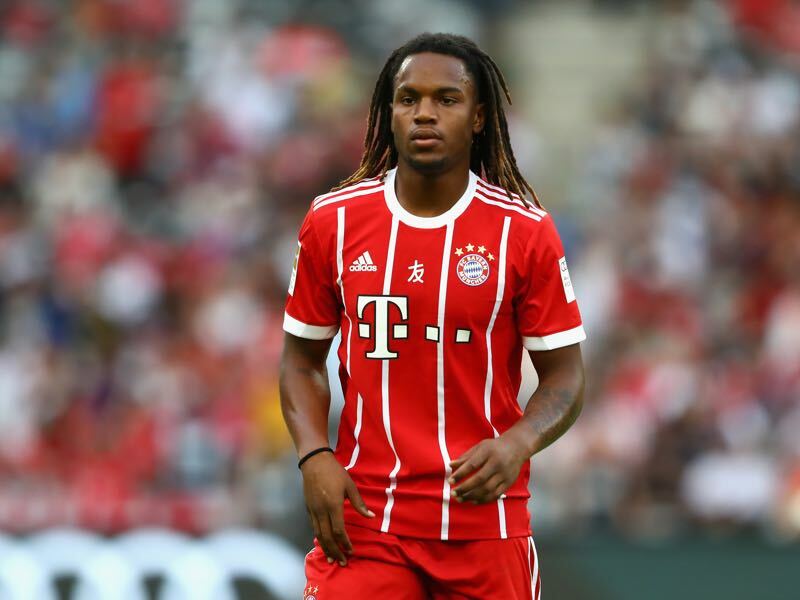 Renato Sanches was brought on against Liverpool in the 21st minute for Thiago, who had suffered an injury. Bayern may decide to hang on to Renato Sanches should Thiago’s injury prove significant. Arkadiusz Milik has often been compared to Bayern München’s Polish striker Robert Lewandowski. But while both are Polish nationals they are in many ways very different forwards. Milik is more of a target man who uses his long frame to win balls deep in the oppositions half. Lewandowski, on the other hand, is a complete striker, who can drop deep to collect the ball. Hence, while Milik is a very different striker, he is still dangerous. 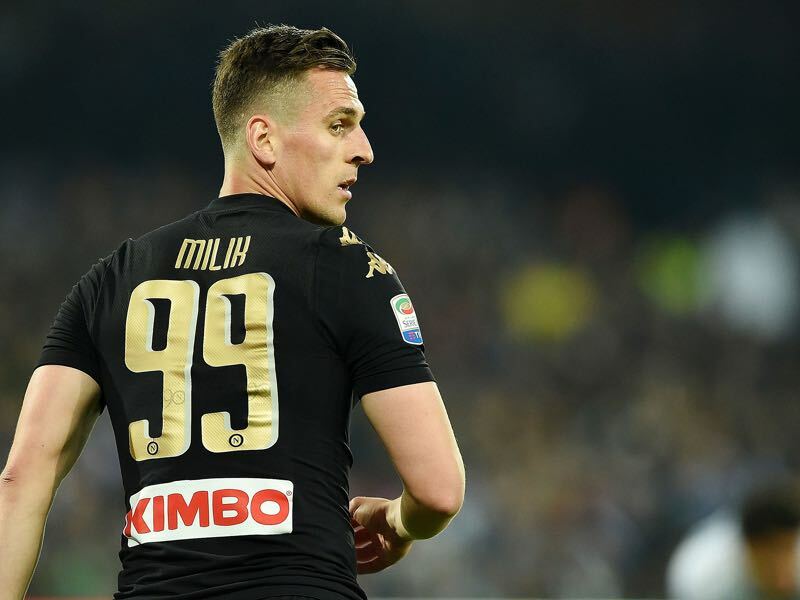 In fact, there is a good reason why Napoli chose to spend €32 million on Milik last summer to make him the replacement for the departed Gonzalo Higuain. The 2017 Audi Cup will mark the first time since 2011 that Bayern have not won the Audi Cup. Bayern have won four out of the five tournaments and always reached the final.